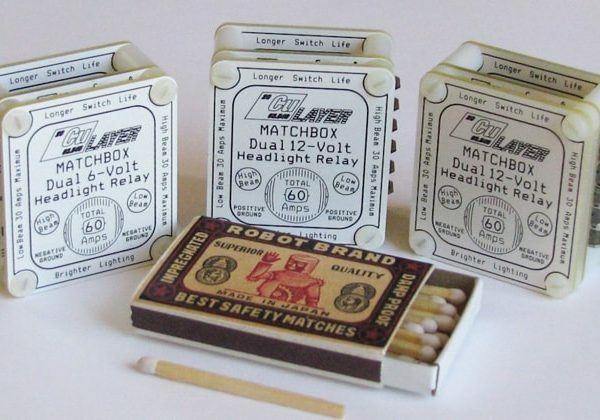 for improved lighting, auxiliary lighting control, and switchgear preservation. Note: The following photos are representative of the tools being sold. The actual tools sold may vary slightly in appearance. 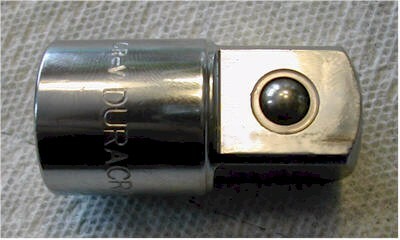 The Fork Drain Tool is a 13mm socket welded into a 19mm wrench. It is used to remove the fork nut while preventing the damper rod from rotating by using an allen wrench (not supplied) inserted through the rear of the socket and into the damper rod. The 27mm Swing Arm Tool socket has a shoulder milled on the outer diameter to allow the socket to fit in the swing arm recesses of the frame. This tool fits all twin shock models. The face chamfer of this 30mm Fork Cap Socket has been milled off to better grip the lower fork cap nuts on all 1967 - 1973 airheads and the upper spring retainer nuts on /6 and later airheads. A 36 mm socket to fit the top fork cap on all 1967 through 1980 for the bottom fork nuts of /6 and /7 series airheads as well as the /5 upper spring retainer nuts. This tool also fits the /2 series (1955-1969) swing-arm aluminum cap. 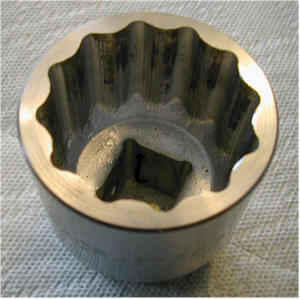 This is a 3/4" drive socket with the chamfers removed such that the socket can grip and twist the thin triple tree nuts. This is for use with the 1-5/8" /2 Flywheel socket. 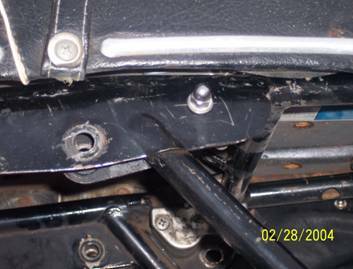 Works at either front or rear seat hinge position. 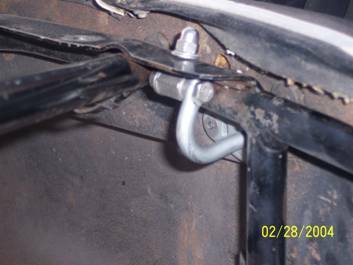 This is a fix for when the tab on the subframe is snapped off or missing. A lay out pin and union nut are provided, the J-hook hinge is NOT provided. 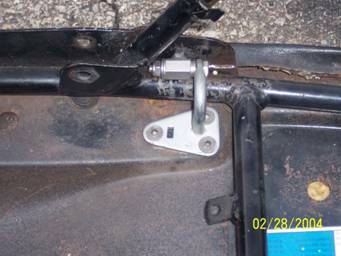 Using a piece of masking tape on the sub frame, attach the kit to the closed seat and with union nut and bolt extend out from frame and draw line across frame both for thru bolt and the bolt that goes thru the frame. Drill a ¼ inch hole in the sub frame. Any questions, please call Joe at 630-262-0923. $34.00 shipped in continental US. and in the email list which tools you want and your shipping address. Do not send money until Joe has determined your actual shipping charges. *The tools shown on this page are not affiliated with Cu Layer Inc. Cu Layer provides this tool resource as a service to motorcycle repairers and restorers. Cu Layer Inc. assumes no responsibility for the construction, quality or use of these tools. As with any tool always wear eye protection and follow accepted safety procedures.